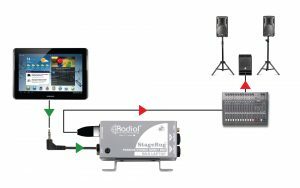 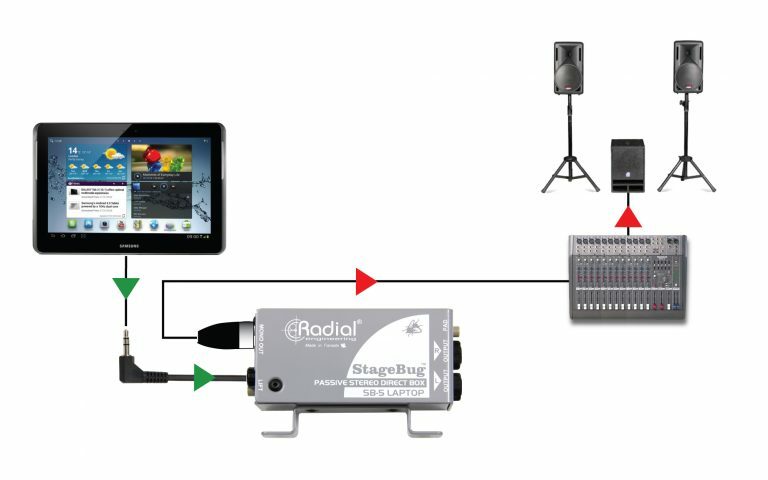 The StageBug SB-5 provides an easy to use professional interface for connecting any mobile playback device to a mixer or PA system, with a built-in cable and 3.5mm stereo plug to connect directly to your laptop, smartphone, or tablet. Inside, a pair of custom wound transformers isolate the signals to prevent hum and buzz, and balance the audio to feed long cable runs without noise. 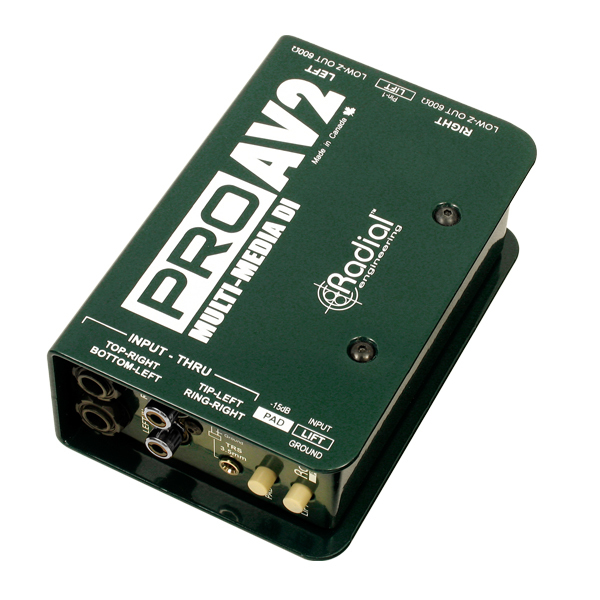 Left and right 1/4" TRS outputs are provided for stereo operation, or a mono XLR output can be used to save channels on the PA system. 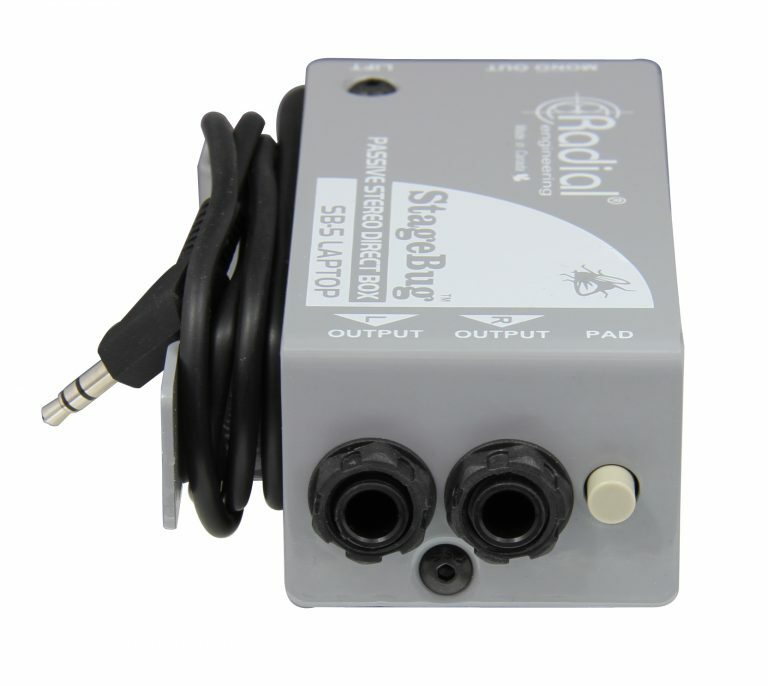 The SB-5 works without any power required, and features additional ground lift and pad switches to eliminate ground loop noise and prevent distortion from high output audio sources. 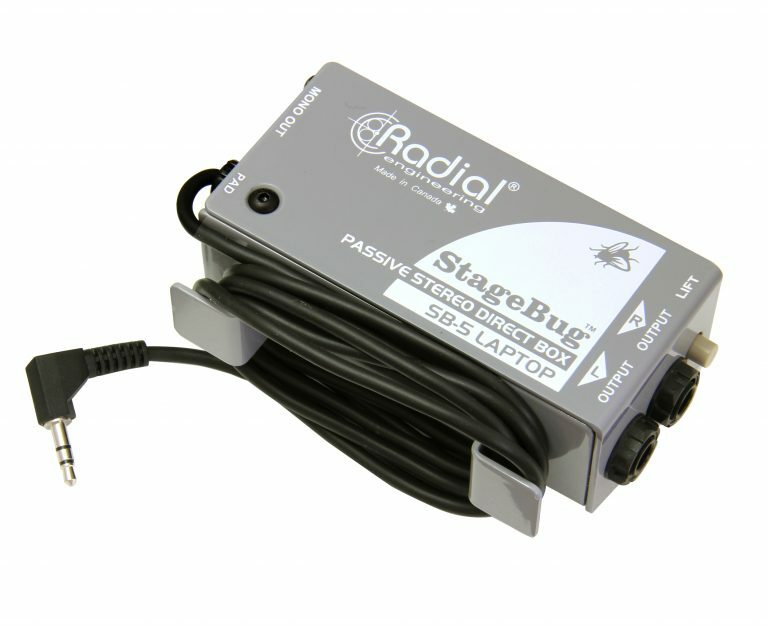 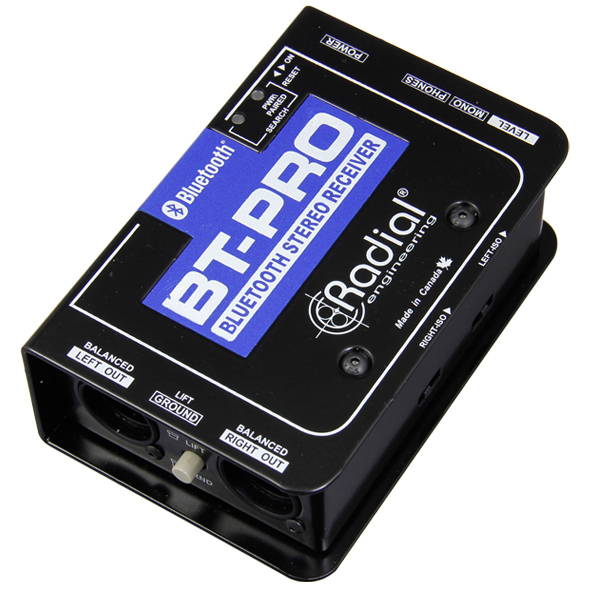 Connect the headphone output from your computer directly into the StageBug SB-5 for quiet performance each time. The sidewinder cable cleat makes storage easy and you never lose the cable! 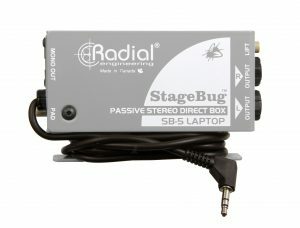 The SB-5 is your perfect direct box when extra portability is needed. 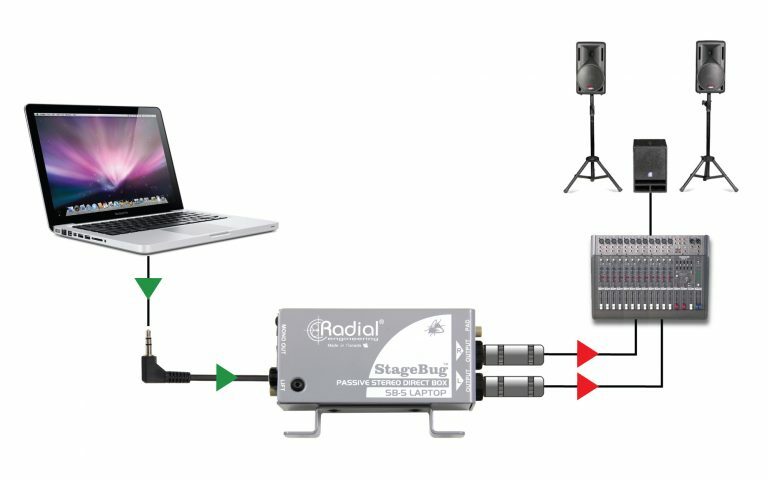 Connect your iPad or Galaxy tablet to the SB-5 via the integral 3.5mm cable connection and sum to mono via the XLR output. 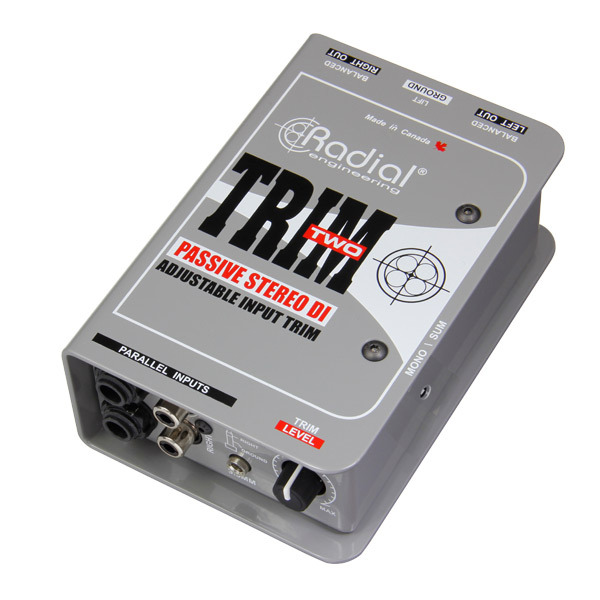 Need to play backing tracks in stereo? The Stage Bug SB-5 makes it easy to connect from your portable music player. 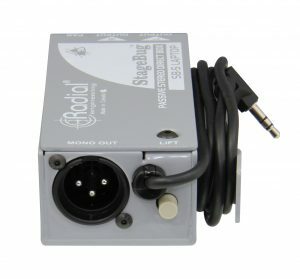 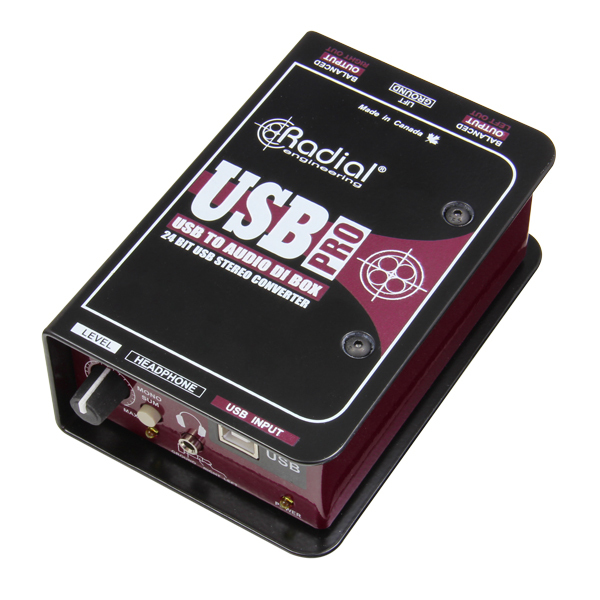 Connect from the headphone out to the SB-5 and send a balanced stereo signal to the PA.
"The SB-5 is another one of Radial's "you didn't know you needed this until you needed it" boxes, and while I have seen one or two similar devices on the market, none of them have had this build quality, feature set or transparent sound." 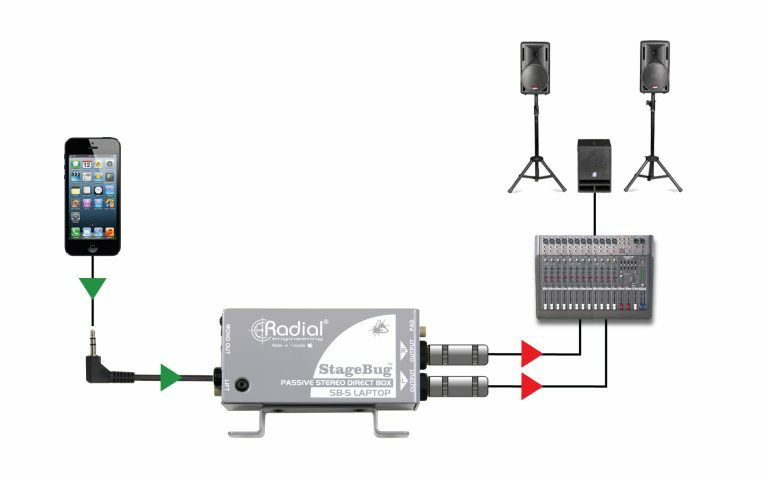 "This is the kind of tool that just about any travelling audio guy should have, and it's equally useful for the church environment. 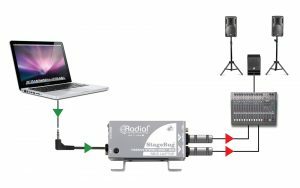 In fact, even though they gave me this unit for the review, I'm going to order a few more to have around the church — I can see that many uses for it."